Pop the noodles in a large bowl, cover with 1 litre of boiling water and soak for 10-12 minutes. Drain and rinse in cold water and pop to one side. While the noodles are soaking, you can get on with making the soup. Pop ½ litre boiling water in a large pan and throw in 1 chicken stock cube and simmer until it dissolves. 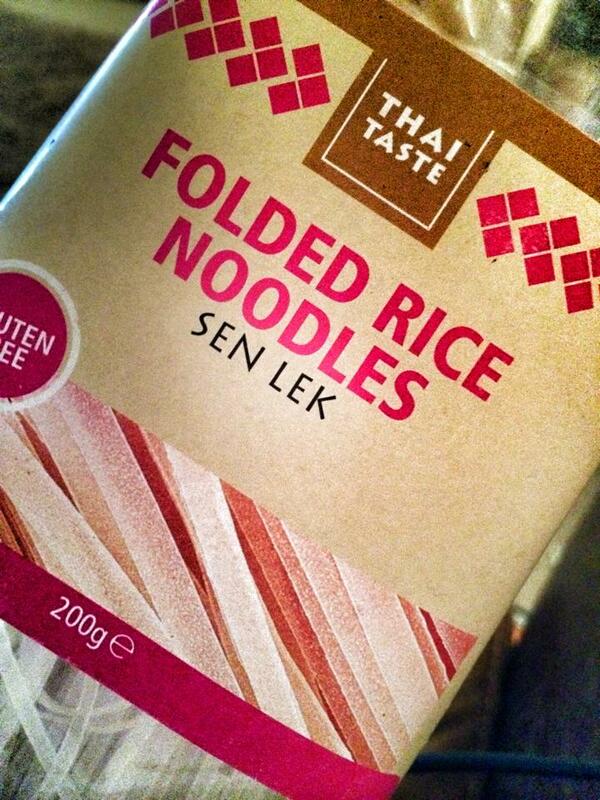 Add 3 tsp of tom yum paste, stir and then add the garlic, ginger and kaffir lime leaves. Simmer for another minute or two and then add the fish sauce, brown sugar and lime juice. Simmer for a minute so the flavours begin to combine and then add the tomatoes, mushrooms and green beans. Simmer for 3-4 minutes (until the green beans start to soften) and then add the chicken and prawns. Once the chicken is heated through, add the coconut milk and simmer for another few minutes until nice and creamy. Finally throw in the coriander and stir through. To serve, spilt the rice noodles between two deep bowls. 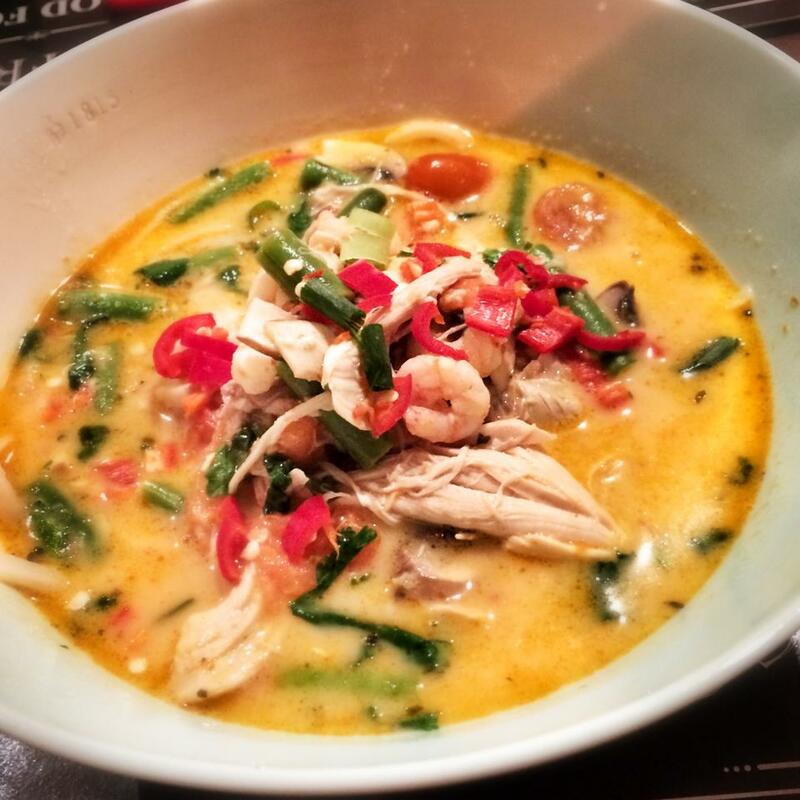 Then top with the tom yum soup and scatter with the chillies and spring onions. Love love love this! Can it be frozen?